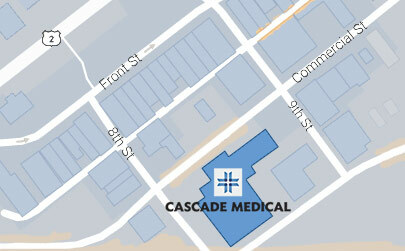 Cascade Medical is a clerkship site for third-year students attending the University of Washington School of Medicine. We provide six-week rotations led by Dr. Geoff Richardson and Dr. Tony Butruille. Both are recognized UW faculty members and primary care providers in the Family Practice Clinic. The rotation is focused on Family Medicine, but students will engage with several disciplines during their time here, including the Emergency Department, Radiology, Lab and Rehabilitation Services. Lucca Criminale, PA-C, offers Family Medicine rotations of one month or four months to Physician Assistant students enrolled in the University of Washington MEDEX Northwest program. Contact the clinical staff at MEDEX Northwest for details. Juniors and seniors enrolled at Cascade High School can observe a variety of healthcare careers and earn credit through the Career Connections program. Students may choose to focus on one discipline or a variety of different departments. Contact the career counselor at Cascade High School for details.